Delicate, fresh, fruity, with notes of white flowers, honey and vanilla, flavors of mandarin and dried apricots. 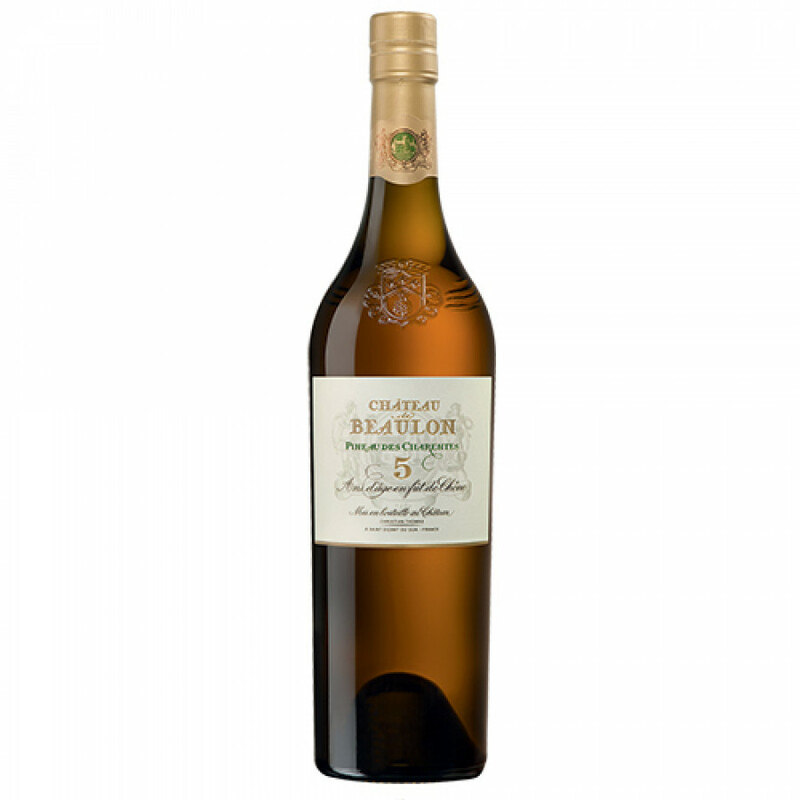 The Chateau de Beaulon Pineau Blanc 5 Years Old is a wonderful example of how to further enjoy superb quality eaux-de-vie (and grape must) from the Cognac region. Pineau des Charentes is the, 'little brother of Cognac', and brings to the table an alternative way to taste what the fruits of the terroir have to offer. Enjoy chilled, as an aperitif - the perfect precursor to seafood such as scallos, mussels, and shellfish. It's also a great accompanient to white meat.